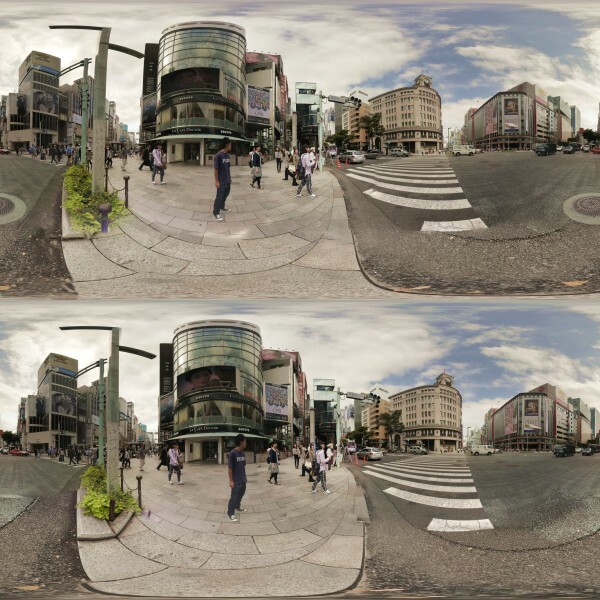 A beautiful 3D 360×180 panorama photos of Ginza, Tokyo by Katsuhiko Inoue. These are some results of practising handled 3D panorama photos at Ginza and Yurakucho. There are some mis-stitching at especially near subjects, which may come from the positioning deviations at handheld shooting with twin camera. I found that nadir alignment is quite difficult task for handheld panorama shooting. No further correction with Photoshop or SPM at all for this 3D panorama authoring, which may be necessary fort nadir parts.